Today is International Day of the Girl Child. This year, the day focuses on a skilled girlforce, drawing attention to the importance of investing in girls to attain skills for productive lives. 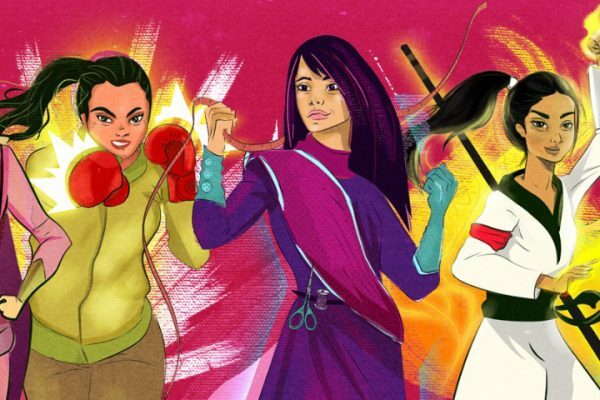 Today is International Day of the Girl Child, and the karate girls of Korail in Bangladesh are screaming – as they are most days. For young girls hailing from disadvantaged communities, activities such as competitive sports not only encourage them to discuss sensitive health issues but also empower them to take up leadership roles in their societies. For women, participating in team sports also enables a sense of unity that helps them be seen as champions within their communities. Sports for development is one of the more recent initiatives designed to get adolescents talking about issues that are rarely ever discussed in their communities. 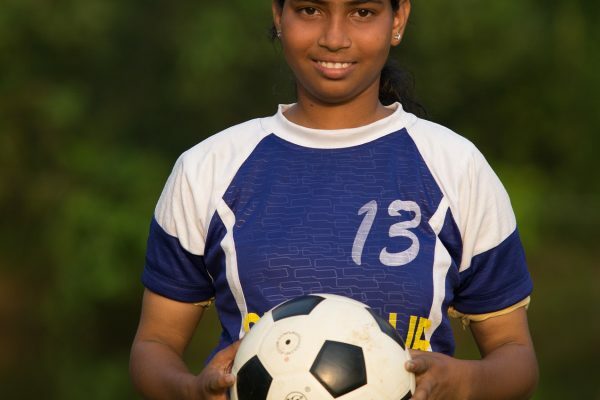 Believe it or not, activities such as football, cricket and swimming are leading to discussions amongst young girls – they range from sexual health to menstruation and nutrition. While practicing their passes and drilling their dribbling, girls are learning about how to take care of their bodies and take charge. Every year millions of adolescent girls marry young in South Asia. They are burdened with responsibilities as young wives and teenage mothers. In most cases, girls are coerced into marriage in varying circumstances. Research indicates that child brides face greater physical violence and a number of health risks. However, evidence is also building up on another more serious consequence of early marriage. Polli shomaj, or community-based organisations, are designed to empower poor, rural women, by enabling them to raise their voice, and claim their rights and entitlements. These groups are powerful and successful mediums of sustainable development. 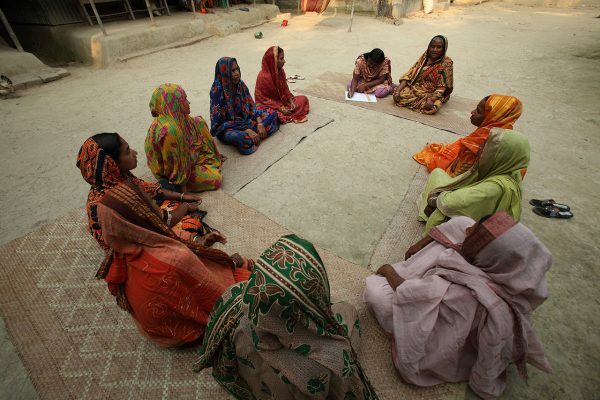 They actively engage more than one million rural women in 55 districts of Bangladesh. 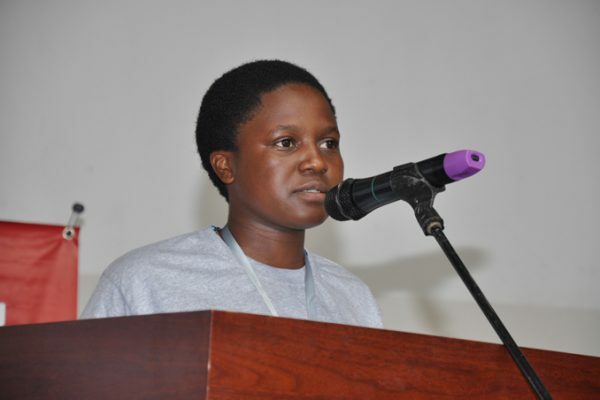 Maria Ndagire is 17 years old. Her parents died when she was only four years old. “My uncle had to take care of us after our parents died, but it was not easy. He already had his own children to care for and did not earn that much money.” Ndagire almost gave up on life when the only brother she had, left home one day never to return again. She was able to go to school, only because the head teacher there was her aunt. But her losses did not make her lose focus. Mitu and Tania are club leaders and cricket coaches from BRAC’s adolescent development programme (ADP) in Bangladesh. 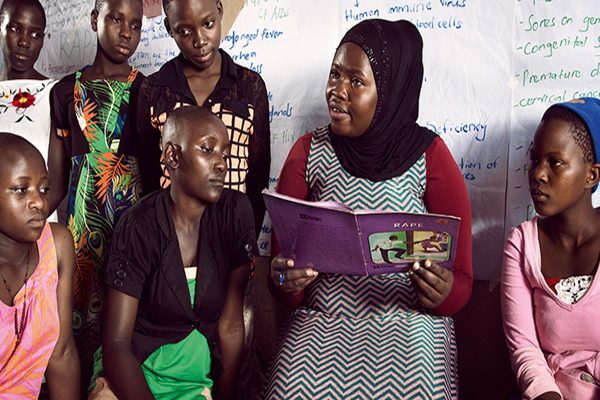 The programme creates safe places where adolescent girls can read, socialise, play sport together, take part in cultural activities and have open discussions on personal and social issues with their peers. Each club has 25-35 adolescent members aged 10 to 19 years old. A range of livelihood training courses are offered to the older girls to help them learn new skills for employment. Over the past one month, Bangladesh has been eagerly following their favourite football teams during the FIFA World Cup. BRAC decided to harness this nationwide enthusiasm by organising a match between Brazil and Argentina – two of the country’s most beloved teams. 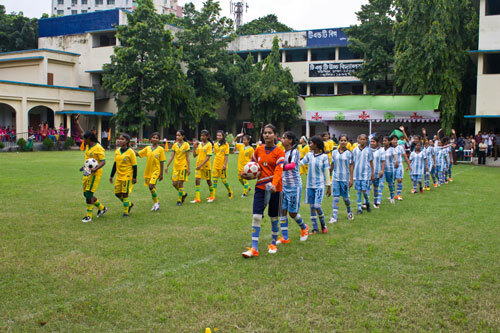 However, the players themselves were made up of girls from BRAC’s adolescent development programme’s (ADP) adolescent clubs. 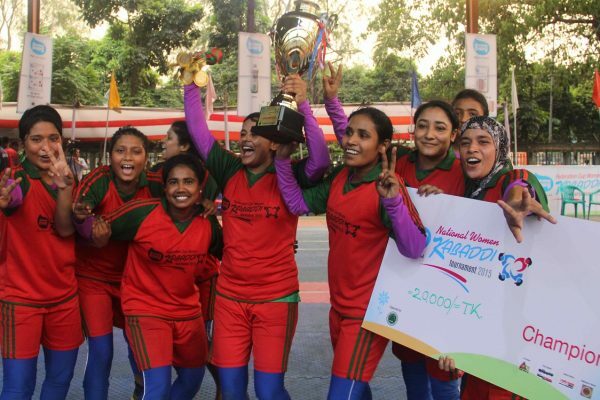 The best players were selected from across Bangladesh to ensemble the two teams who played a friendly game against each other on 27 June at the T&T field in Motijheel, Dhaka. 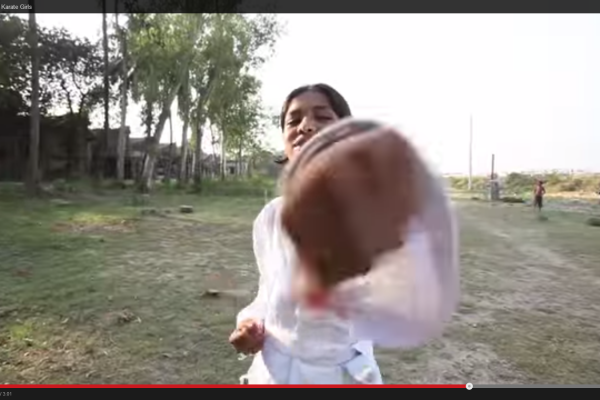 Meet Sonya –an 18 year-old girl living in Narayanganj, Bangladesh. Sonya lives a typical Bengali lifestyle; she enjoys the park with her friends and helps her parents with chores. But Sonya isn't typical. 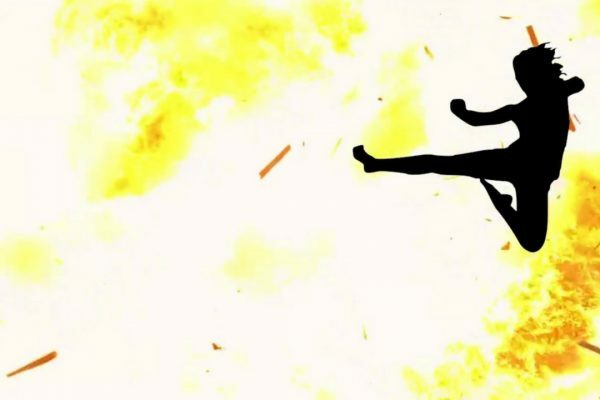 At an age when girls are often expected to get married, she is breaking gender stereotypes, instilling confidence, and empowering a new generation of girls… all through her love for karate. Sonya is among a group of girls who are taking part in BRAC’s Adolescent Development Program where they are mentored in life skills, in this case, through the art of karate.